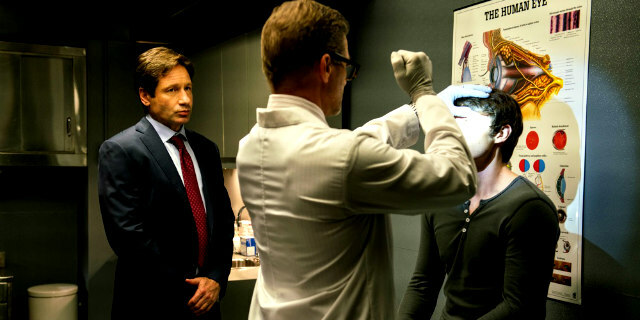 Mulder and Scully take on their first case since reteaming. 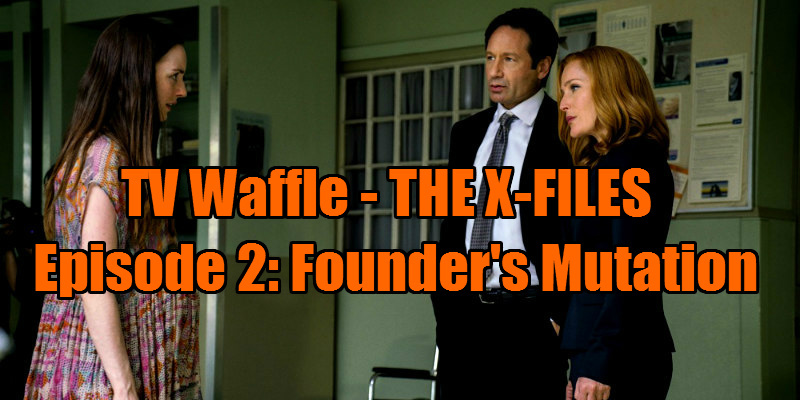 After an uninspiring start to this new chapter of The X-Files with episode one - My Struggle - we're back to the meat and potatoes of the show with the first of four 'monster of the week' episodes in this short six episode run. With James Wong, the man responsible for some of the original series' most memorable stories, writing and directing, Founder's Mutation promised much, but its only mildly satisfying, though certainly a torch-lit step in the right direction. The pre-credits sequence was classic X-Files, with an employee at a tech company taking his life by driving a letter opener into his brain after being menaced by a high pitched noise only he could hear. Finding the episode's title scrawled on the palm of the victim's hand, Mulder and Scully began investigating a possible connection with a Doctor Goldman, known as 'The Founder', who happened to be one of the sponsors of Scully's hospital. The investigation led the pair to Goldman's clinic, where they were greeted by a gallery of deformed children, in one of the most disturbing scenes the long running show has ever offered viewers. 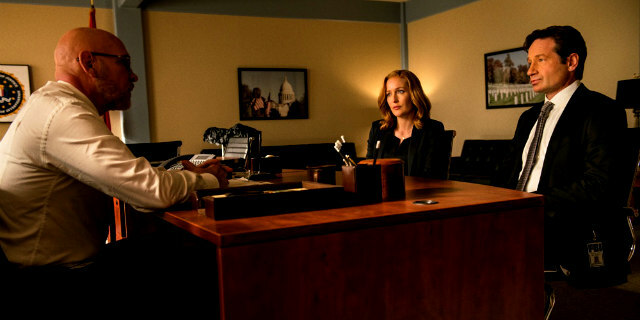 This stirred up thoughts of William, the son Mulder and Scully gave up for adoption, with a pair of dream sequences that felt somewhat out of place in the episode, as though they were added to fill out the 43 minute running time. Compared to Wong's '90s work on the show, this episode represented a large drop in quality. Save for a couple of standout moments - the tableau of mutated kids, a baby crawling out of its mothers stomach - there wasn't much to grip us here. The 'monster', a teen who can use high pitched shock waves to kill, was particularly uninspired, one of the most forgettable the show has ever gifted us. Founder's Mutation is the sort of watchable but instantly forgettable episode that made up the bulk of the show's original run. It was originally meant to be the fifth episode aired, which explains why the show seems so settled after only two episodes, and the fact that it was moved forward is worrying. 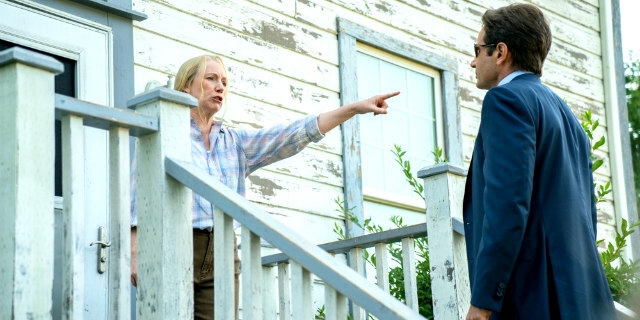 If Fox knew the first episode would fail to inspire viewers (and almost half the 16 million strong US audience that tuned in for the Sunday night opener failed to return the following night), they may have opted to place the strongest episode next. 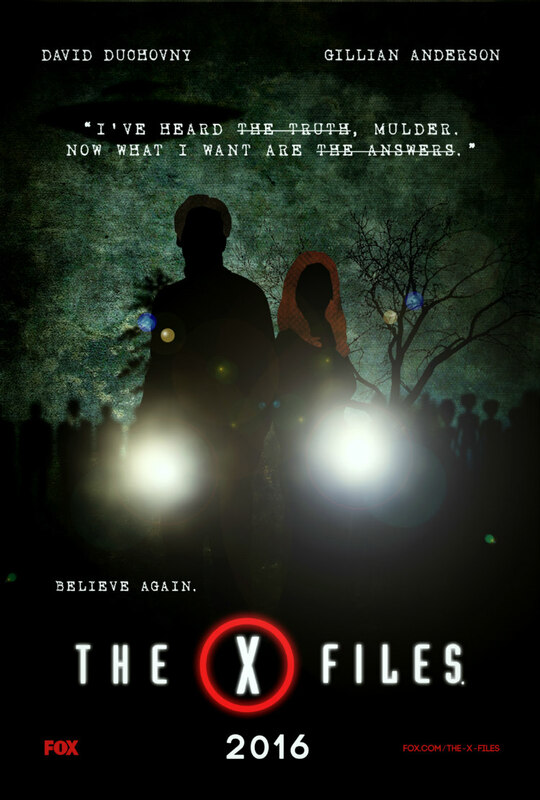 If this is the case, it doesn't bode well for the rest of this season, though next week's episode - Mulder and Scully Meet the Were-Monster - has been acclaimed by those who saw it at a special event in Los Angeles a few weeks ago. There's a lot riding on episode three, as the series can't afford three mediocre episodes in a row at the start of a six episode season.